“I believe African ornithology has great potential, and wish to enhance the journal’s position as the flagship publication medium for ornithological research conducted across Africa,” said Dr. Alan Lee, the new Editor for Ostrich: Journal of African Ornithology. The journal will be under Dr. Lee’s stewardship from Volume 87, issue 3, 2016. Dr. Alan Lee published in Volume 86, 1-2, 2015, which was a Special memorial issue in commemoration of the late Philip Hockey. In celebration of his appointment as Editor, the paper listed below will be available to access at no charge until the end of August 2016. “Population metrics for fynbos birds. South Africa: densities, and detection and capture rates from a Mediterranean-type ecosystem.” Alan TK Lee, Phoebe Barnard and Philip AR Hockey. Volume 86, 1-2, 2015. In talking about the future of the journal, Dr. Alan Lee has committed to increasing the rigor of the science presented in the journal. 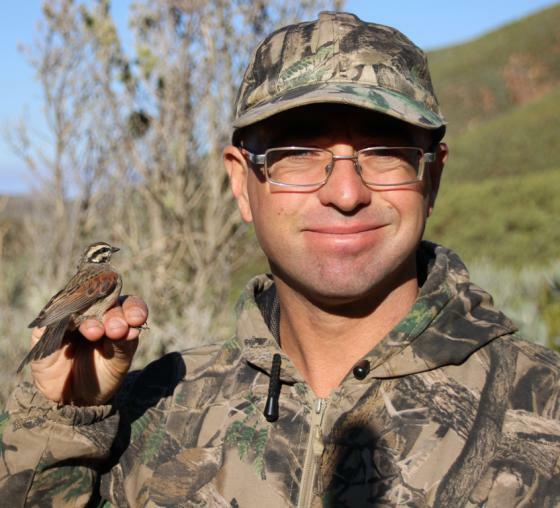 His plans include supporting and encouraging more ornithological research from emerging countries, continuing to improve the turn-around time to publication and strengthen ties with European research institutes conducting research in Africa, given the shared avifaunal community and importance of Africa as breeding and overwintering ground for many species.